THE CONVERTORUM: The hunt is afoot! Early this year I was invited to partake in Iron Sleets first Invitational. My first plan was to create a group of xenos bountyhunters in an attempt to show off the diversity of sentient life in the galaxy. This unfortunately proved a bit too ambitous and I got completely stuck - none of the xenos turned out the way I wanted them. 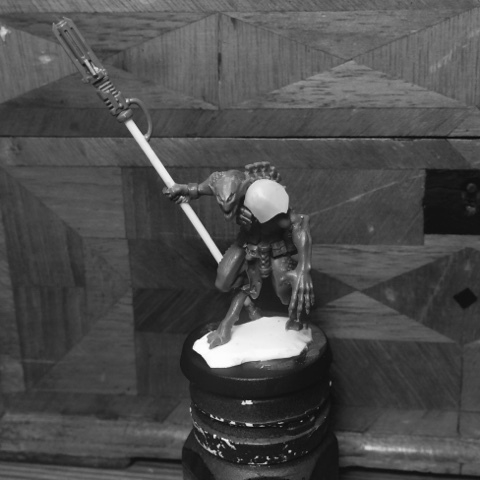 In the end I decided to do a slaaneshii themed entry instead where one of the xenos was reworked into a warped hellbrute construct. 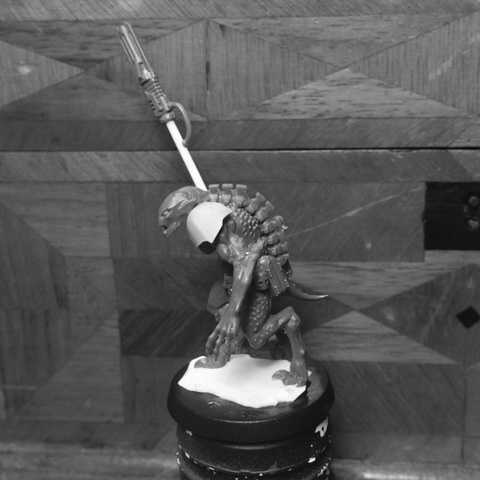 He'll probably end up part of Carax growing retinue of miscreants or I may actually do an entire band of xenos like originally intended. Yup. That´s the plan, sir! Brilliant, I liked this guy first time around. Can't wait to see what you do with him! Btw what parts did you use on his spine? Cheers! The spine is from a necron praetorian - fits really well into the groove in the bloodletters back when you chop it up in smaller sections. Definitely picked up on the feline aspects of this guy when you first posted him, think its the face and the multi jointed legs. Glad to see you are finishing this guy! Yeah - he´s been shelved for too long. Glad to see this going getting some more love after his little incident. Cheers mate! He´s not completely finished but it won´t be long now. Dangerous looking, very nicely done. The face/head, what's it from? The face is nicked from a wood elf dryad, minus the branches/horns. I'm really interested to see how you paint this guy. Any ideas yet? I think some kind of stripes or spots would look awesome on him. 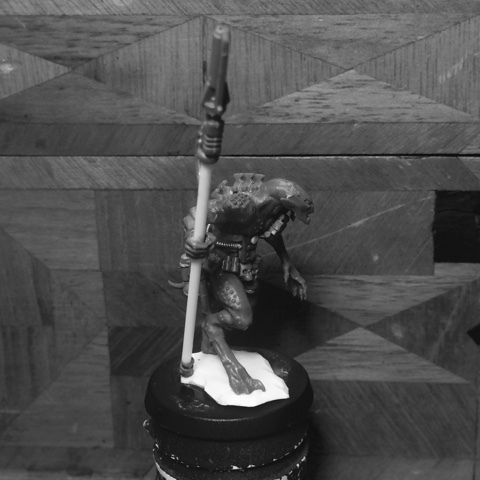 I´m actually undecided how to paint him - I may play up the feline angle and make him black/grey: panther style. That or classic mottled predator skin similar to the brontoglorrg I made a two years ago.